Princess Diana played tennis with German tennis player, Women’s Number One at the time – 18 year old Steffi Graf – at the Vanderbilt Raquet Club in London on June 10, 1988. 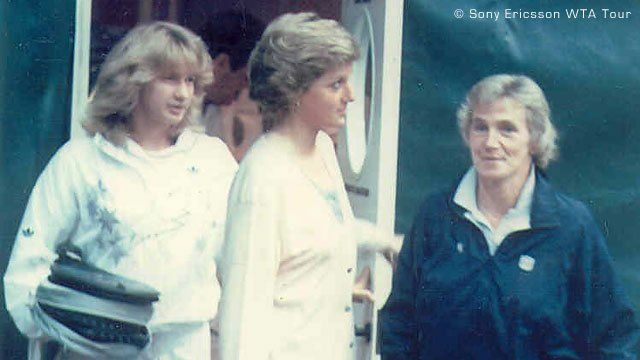 Princess Diana earlier unveiled a plaque to mark the opening of the European Office of the Women’s International Tennis Association. 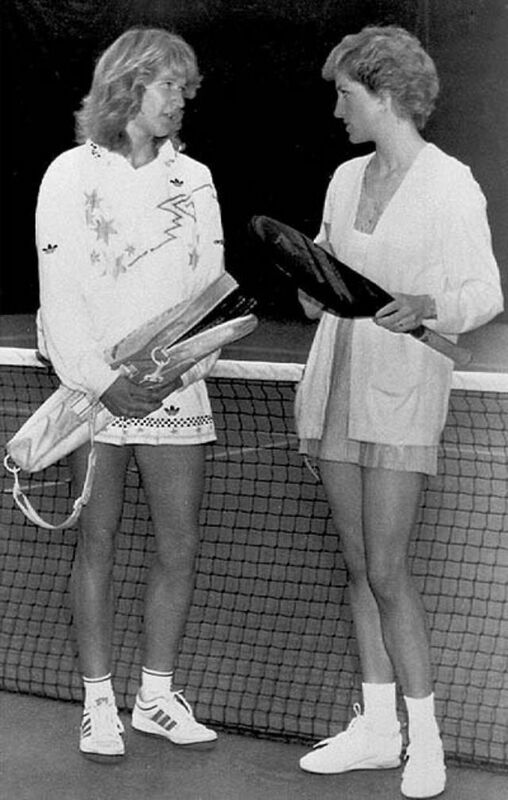 After unveiling the plaque, Princess of Wales then went onto court to play mixed doubles with: Charles Swallow, a Director of the Vanderbilt Club, against Steffi Graf with Lord Willoughby De Broke.